Being a popular accessories company and all, it doesn’t surprise us that Griffin has an extensive selection of cases for the iPhone 6 Plus. So far, the majority that we’ve been reviewing have been ruggedized ones meant to safeguard the fragile, premium-constructed smartphone. However, if you’re more apt to pick up something that’s on the minimalist side, then you might want to include the Griffin Identity Case to your list. 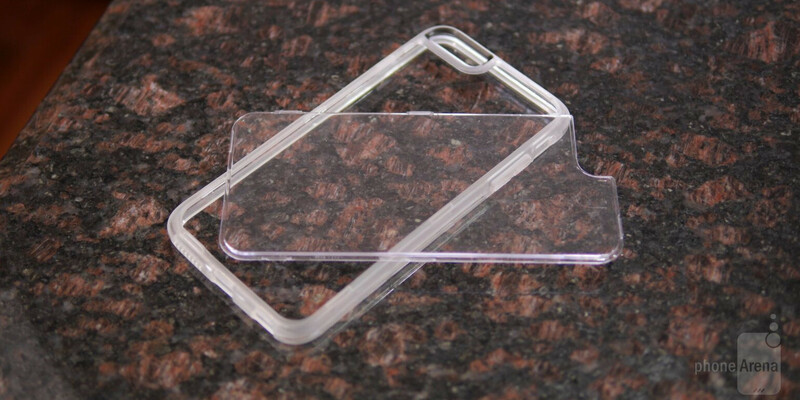 The exact Identity Case we’re checking out here is the all clear one, which is a single translucent and form-fitting case for the iPhone 6 Plus. Typical of Griffin’s line of cases, the Identity combines shock-absorbing rubber bonded to a hard polycarbonate plastic frame. It’s tough to make out the polycarbonate in this case, since the rubbery materials dominates most of it, but the polycarbonate lines the outside areas of the case. For the most part, it doesn’t tack on a whole lot of size to the iPhone 6 Plus’ already-existing svelte frame – so it’s form-fitting and hugs the phone tightly. Due to its all clear design, the phone’s original look is preserved. And in matching its design, too, the Griffin Identity case features the same rounded edges that make the iPhone 6 Plus so distinguishable to the touch. Seeing that this is part of Griffin’s line of Identity cases, the rear back panel is interchangeable – offering owners plenty of personalized options to choose from. Of course, there are stylish looking back panels that give this otherwise ordinary looking case some much-needed good looks. With its minimalist design, the Griffin Identity All-Clear case doesn’t try to go beyond the higher level of protection we see in its other cases, but at least it’s the kind of thing that’s effective against normal wear and tear. Pricing is set to $29.99 for this particular case, which isn’t too bad considering its form-fitting nature, interchangeable back plates, and subtle protective qualities.